Gateway Chevrolet is proud to serve the community under the General Motors name, offering new and used Chevrolet, Buick, and GMC cars and trucks for sale in the Brampton and Greater Toronto market. Wallace Chevrolet, Cadillac, Buick, GMC is Milton’s premier GM car, van, truck, and SUV dealership and auto repair center. We’re proud to serve the Milton and Mississauga areas as a leader in the auto industry. Markville Chevrolet Automobile Ltd. has been serving Markham and the surrounding communities for years. 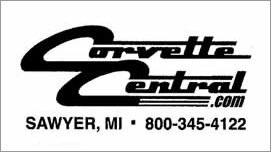 Markville Chevrolet includes an indoor showroom, used car center, auto repair centre, and body shop. Check out our inventory for a huge collection of new and pre-owned Chevrolet, Buick and GMC vehicles. Trailcon Leasing is a nationwide leader in trailer rental, leasing and maintenance solutions. Our transportation industry expertise and dedication to serving our clients has earned and kept us the business of some of Canada’s largest companies. Located in Markham, Stan’s Power Paint has been providing the highest quality of automotive service, repair, and classic car restoration for over 40 years. Specializing in paint and body, Stan’s Power Paint also does expert quality work for automotive dealerships, collision repair and insurance claims, and vehicle customization. 40,000 collector car enthusiasts can’t be wrong It’s why we’re Canada’s largest collector car insurance brokerage. A lot has changed since we started out 40 years ago, but one thing remains unchanged. We remain your collector car insurance brokerage, driven by the same passion for the hobby as you are. It means that while we now offer more products to meet your other insurance needs, we’re still dedicated to the collector car hobby.